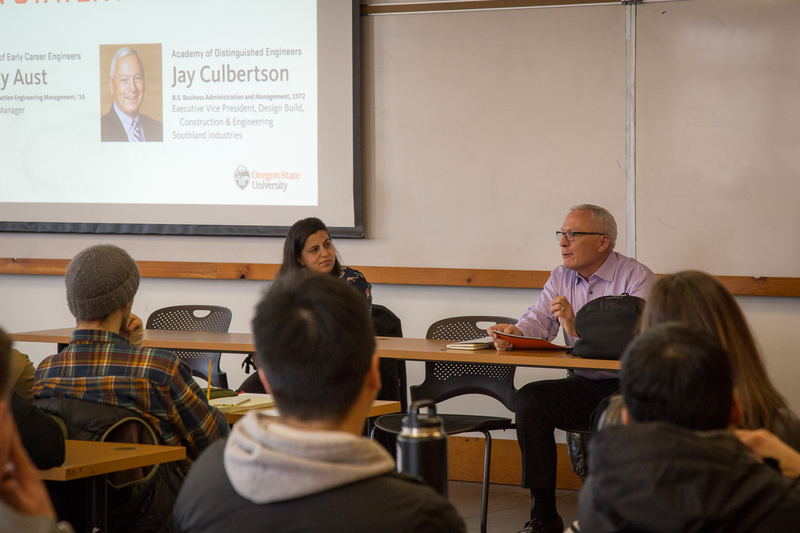 Kelly Aust (’10 B.S., Construction Engineering Management) and Jay Culbertson (’72 B.S., Business Administration and Management) speak with students in Kearney Hall. Congratulations to Oregon Stater Awards honorees Kelly Aust (’10 B.S., Construction Engineering Management), Jay Culbertson (’72 B.S., Business Administration and Management), and Tim Sissel (’97 B.S., Construction Engineering Management), who are making profound impacts on their professions and our world. Culbertson was named to the Academy of Distinguished Engineers. For 30 years, he used strategic planning, engineering, and solid financial acumen to differentiate his company, Temp Control Mechanical, from the competition and grow it into one of the largest mechanical contractors in the Pacific Northwest, before it became a wholly owned subsidiary of Southland Industries in 2014. 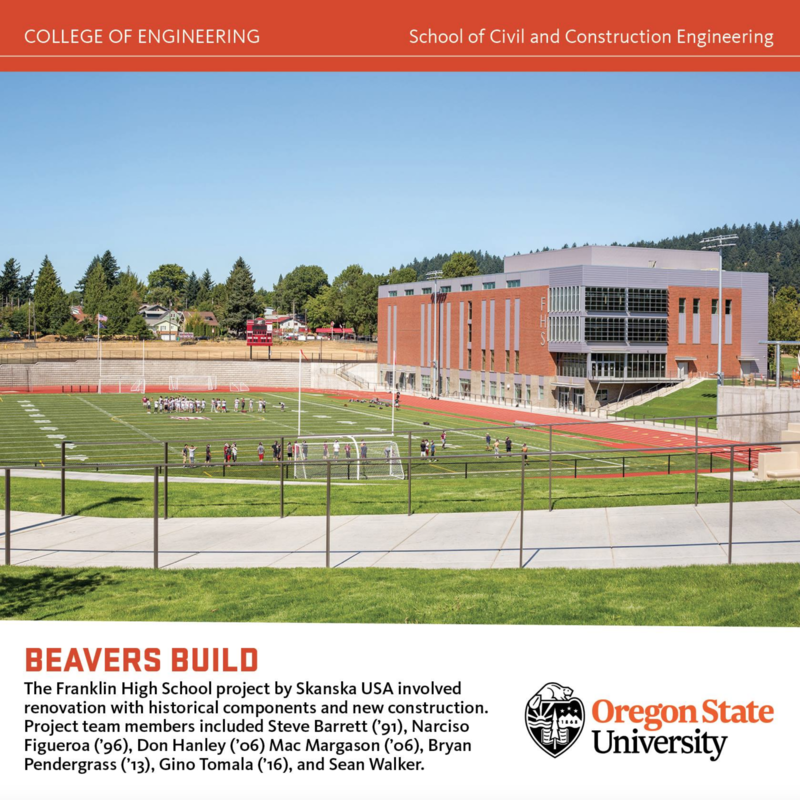 CCE launched Beavers Build, a new feature that shares recent alumni projects. 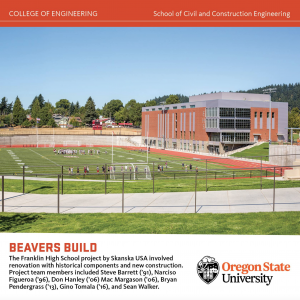 The Franklin High School project by Skanska USA featured seven CCE alumni and involved a 287,000-square-foot renovation with historical components and approximately 144,000-square-feet of new construction. It included a new stand-alone gymnasium, performing arts center with 497-seat theater, student commons, cafeteria, and industrial technology building. Follow us on Facebook to learn how CCE alumni are building a better world.